This tree is native to South East Asia but was introduced to Europe and Italy and is also found in the Ivory Coast, Morocco, Tunisia and Algeria. The name is derived from the city Bergamo in Lombardy, Italy, where the oil was first sold. A delicate, small tree about 4-5-meters (16 ft) high, with smooth oval leaves. The plant flowers twice a year-in the spring and at the end of summer. The bergamot orange is a fruit, small and roughly pear shaped. The fruit, produced in Italy, is a cross between the pear lemon and the seville orange or grape fruit. The fruit is sour and its aromatic peel is used to produce an essential oil that is used in Earl grey tea, perfumes and in aromatheraphy to treat depression. It is also used as a digestive aid. Aroma: It is a fruity citrus oil of spicy-floral freshness. Bergamot oil has various chemical compounds that include terpinolene, myrcene, methulacetophenone, carotenoids and triterpenoids. The therapeutic effects are to balance the mind and regenerate. Bergamot oil helps to eliminate emotional confusion and increase ones sense of humor and well-being. 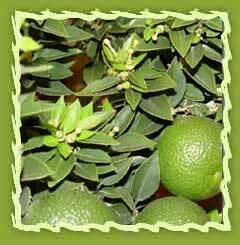 Bergamot will also allay the pain of shingles and ease chicken pox in small children. Bergamot oil can be used in the treatment of depression, stress, tension, fear, hysteria, infection (all types including skin), anorexia, psoriasis, eczema and general convalescence. The aromatherapic properties of bergamot oil include analgesic, antidepressant, antiseptic, antibiotic, anti-spasmodic, stomachic, calmative, cicatrisant, deodorant, digestive, febrifuge, effective insect repellent properties. A very delicate, highly volatile oils like bergamot and lavender are considered top note oil. 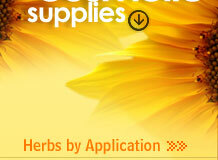 It is mostly used in blending aromatherapy oils used for massaging. It is used in candle making by refining paraffin wax which is specially blended with rich scent and longer burning time. Candles of different types like jar candles, floating candles, votive candles, pillar candles are made with fragrance of bergamot essence. The essential oils are extracted by pressing on the outer part of the fresh peel. The well known extract of bergamot oil, used in cologne and Earl Grey tea. Bergamot has also been used for many years in Italy to treat fevers and in China to treat coughs and colds. In France, mandarin oil is used to treat indigestion and hiccups in children. Another method used is steam distillation of freshly picked flowers, which produces the orange blossom water. They have been used for centuries as folk remedies and are now used as fragrances in soaps, detergents, cosmetics, perfumes, and pharmaceuticals. Other uses for the oils include aromatherapy, skin care, and as an aid to circulation and digestion. Bergamot also plays a major role as a raw material for other products. The fresh fruit is processed into juice, concentrates, canned, or refrigerated segments. Other products include marmalades, cattle feed made from the skins, essential oils, pectin and other chemicals. Oranges account for about 65% of all citrus production, 15% goes to mandarins, 10% to lemons and limes and 10% to grapefruit.